Google announces GSoC every year sometime in January. It then accepts applications from several organizations who wish to work under the program and hire student developers for the summer. Few organizations get selected which then propose several projects on which the students would work on during the summer. This is when the students start their journey. I looked at several organizations and listed a few whose projects matched with my field of interest. The next step is to learn more about these organizations and make sure that you would like to work with them in the summer. It is very important to identify the correct organization and the correct project that you want to be working on. We can get to know more about the organizations by hanging out in their IRC channels or joining their mailing lists. After this, I started writing proposals for the projects which I was interested to work on. This is probably the most important step of the application process. This is where the organizations can know about whether you have understood about the project and how much work do you propose to do. At this step, one could get feedback about the proposal from the mentor organization as to what they expect from the proposal. There is no such thing like a set of guidelines for writing a proposal because different organizations look for different things in the proposal. But, in general, a proposal should be realistic and to the point with at least a basic timeline of the work that you expect to complete every 15 days. One can submit upto 20 proposals to Google. Again this is an upper limit and is not at all recommended. Proposals should be submitted only to organizations which really interest you. Also one should focus on the quality of proposal rather than the quantity. After this phase, one can either choose to relax till the declaration of results or study about the projects that he submitted proposals for. A few lucky ones make it to GSoC and it is an opportunity to get to know more about how large open source organizations work as well as contribute back to the open source community. This was just the beginning. 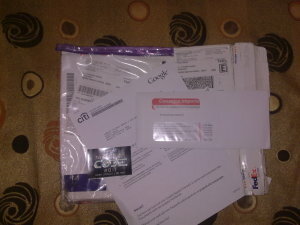 The real work starts after being selected for GSoC. I guess, this is a long enough list of suggestions for the GSoC Applicants. I will now talk about my GSoC proposal and the wonderful organization that I have started working with. You can find my proposal on Image Editor here. This is the final version of the proposal which I came up with after a few discussion with the mentor for Image Editor, Michelle D'Souza. 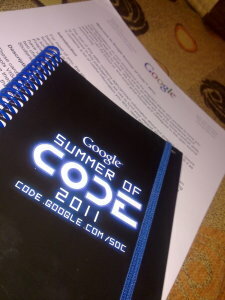 I was very excited after I came to know that I had been accepted for Goolge Summer of Code. Frankly, it came to me as a shock. Thanks again to Fluid for giving me this wonderful opportunity.